NewDay, in partnership with the charity, Family Action organised a Christmas challenge to support children in care and families experiencing financial hardship. 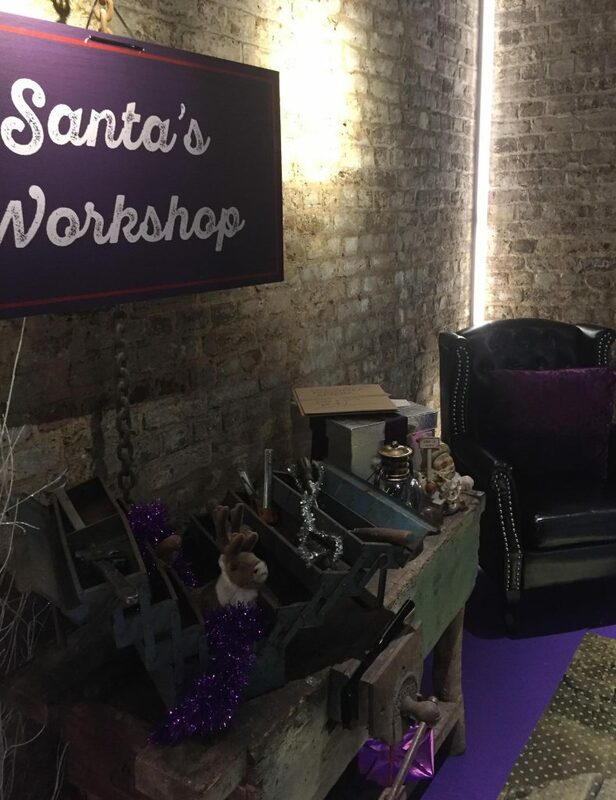 To enhance the office-wide Christmas spirit and promote this season of giving, NewDay asked Loveurope and Partners (LEAP) to produce printed collateral as well as create a Santa’s Grotto in their reception area. 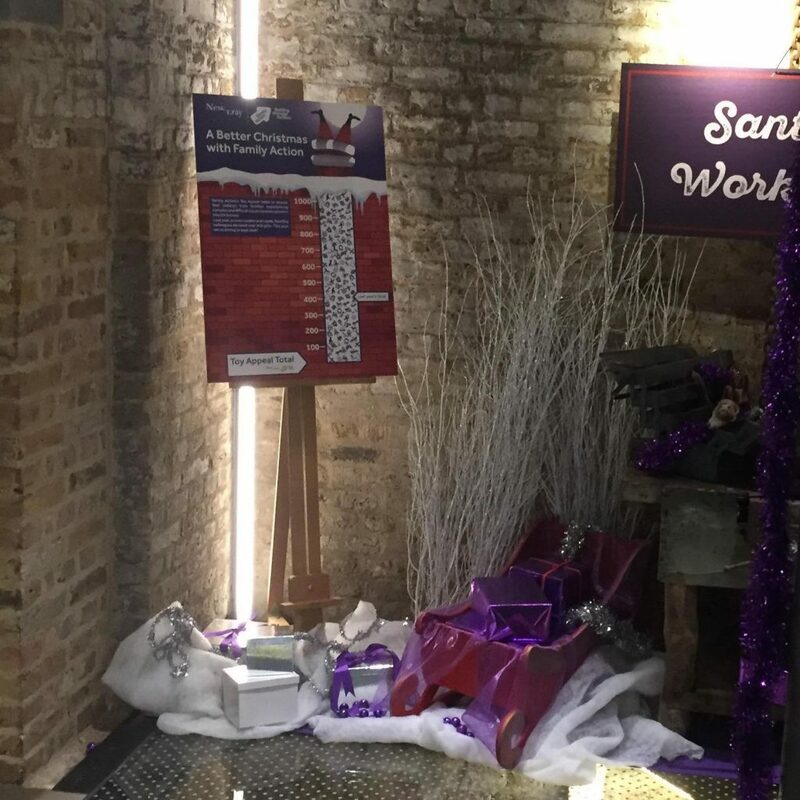 With only a very modest budget befitting a worthy charitable cause, our print and promotions team produced desk drops, posters, North Pole signage and sourced other seasonal decorations. 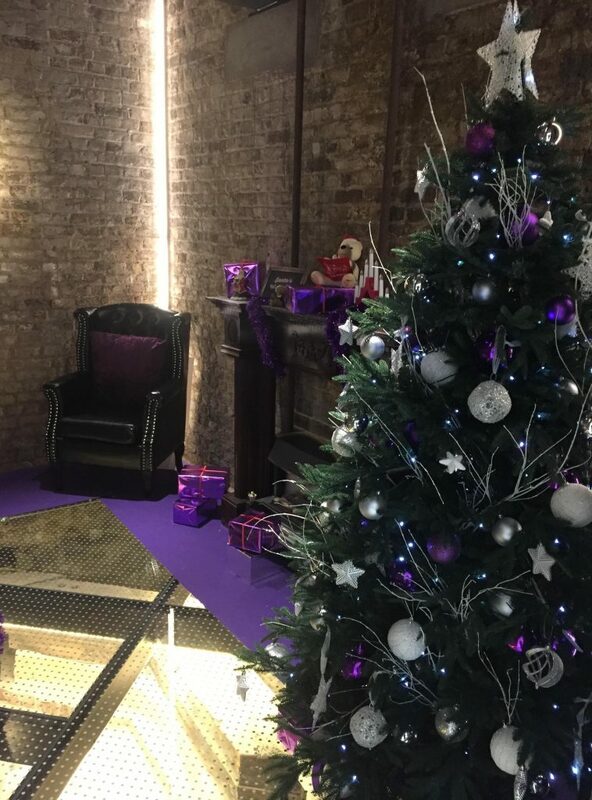 Our helpful account managers served as Santa’s chief helpers to organise and deliver the elements of the project. Each employee was given a desk drop which served as a Christmas tag. On each tag, a child’s name, gender and age were included so that employees could buy suitable gifts. 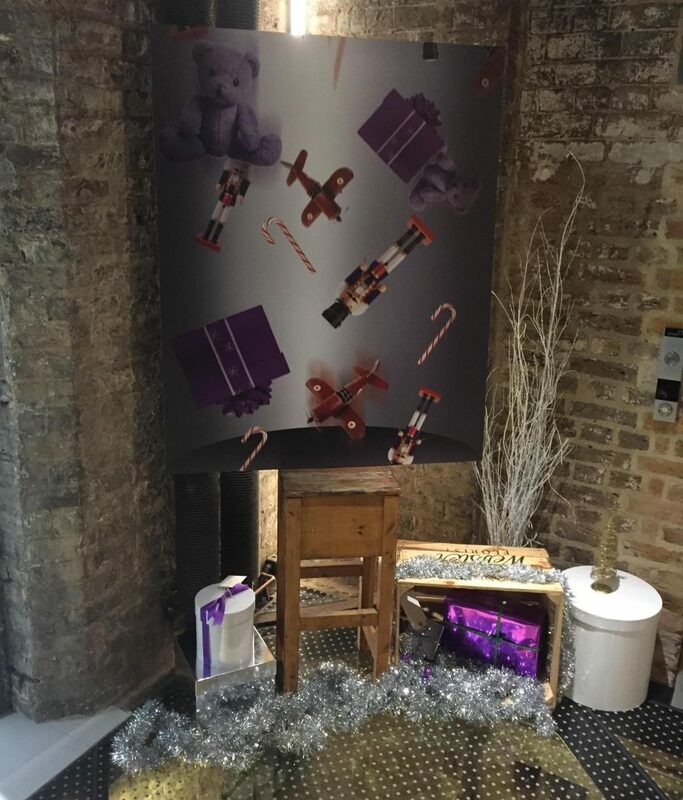 Employees could then fill the delightfully decorated NewDay Christmas Grotto with wonderful presents. Our clients have thanked us for a fantastic display delivered on brief, on budget and on time which all the NewDay employees absolutely love! We are sure the children will be just as excited to receive their Christmas presents.